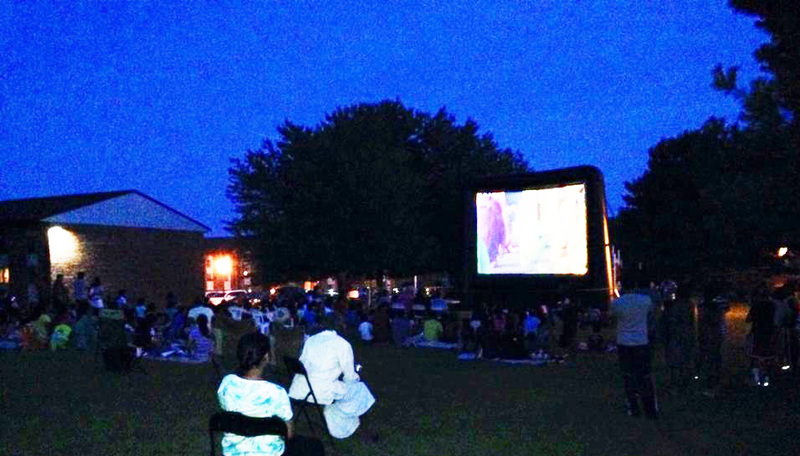 Over the past few weeks the residents of Burnam Woods, Chatham Gardens and Old Orchard Apartments have enjoyed our Annual Free Outdoor Movie Nights. Residents voted on which movie they wanted to see and we brought in a huge outdoor screen and supplied the popcorn, candy and drinks – all for FREE! If you missed our Movie Night, don’t worry there are more Free Resident Events coming up this Fall and Winter. In September we will have Resident Appreciation Days at each of our communities featuring food, drinks, games, prizes and local vendors. Burnam Woods Apartments Resident Appreciation Day is Thursday September 10 from 5:00-7:00pm, Chatham Gardens Apartments Resident Appreciation Day is Wednesday September 23 from 5:00-7:00pm and Burnam Woods Apartments Resident Appreciation Day is Wednesday September 16 from 5:00-7:00pm. For the upcoming Holiday Season, we have planned a Food Drive in November and a Toy Drive and Pictures with Santa in December. We hope to see you in the coming months!